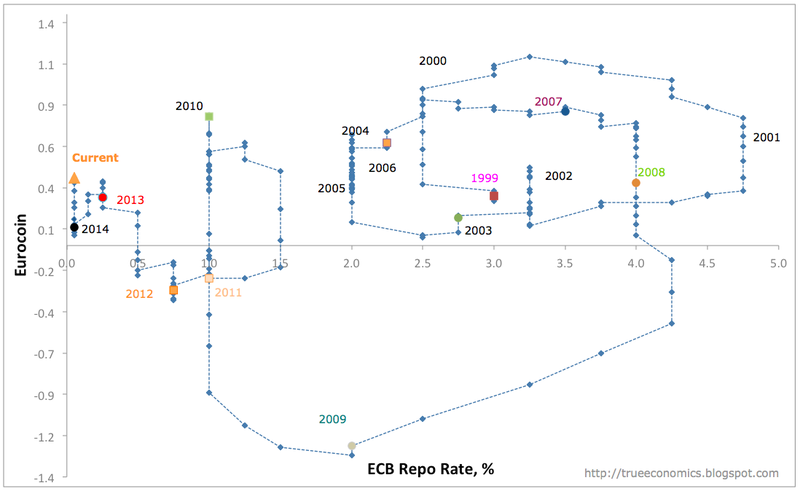 Earlier this week I covered Ifo Institute Index of Economic Conditions for the Euro Area. 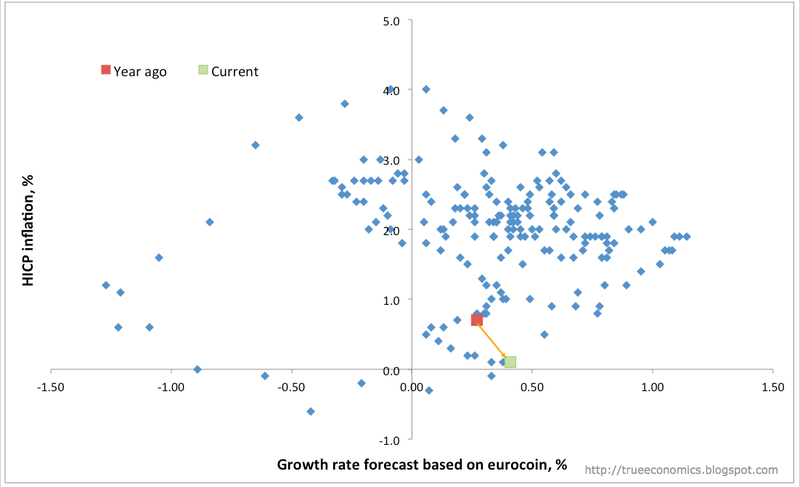 This time around, lets take a look at the leading growth indicator, Eurocoin published by CEPR and Banca D'Italia. 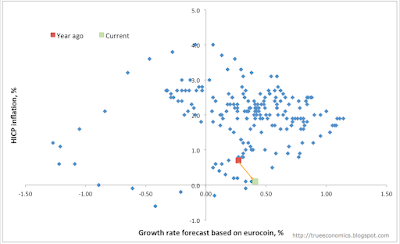 July 2015 reading for Eurocoin stood at 0.41, up on 0.39 in June and well ahead of 0.27 reading recorded in July 2014. This means that economic growth slightly firmed up at the start of Q3 2015 compared to the end of Q2 2015. 2Q 2015 Eurocoin average suggests growth at around 0.35-0.4% which compares to 0.4% growth recorded in actual real GDP in 1Q 2015. However, growth improvements are continuing to come against core inflation (HICP) remaining at 0.1 percent through May 2015. 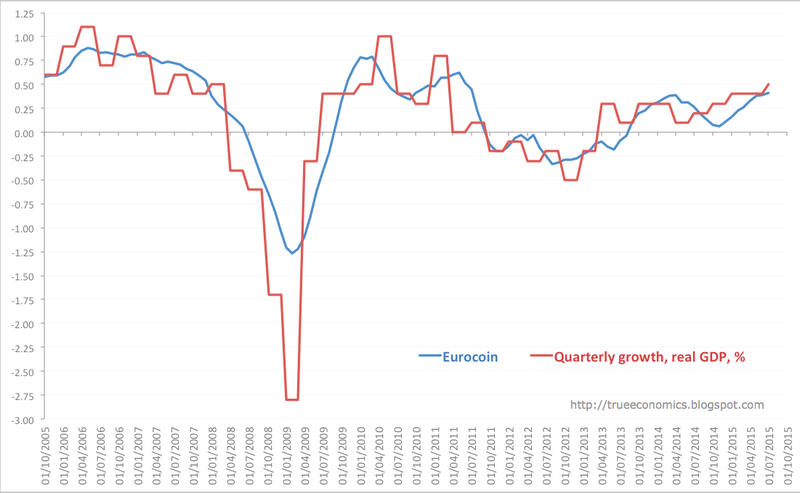 The reason is simple: per Eurocoin release, "the recovery in stock prices and the performance of industrial activity in several of the leading countries prevailed over the decline in confidence of households and firms." 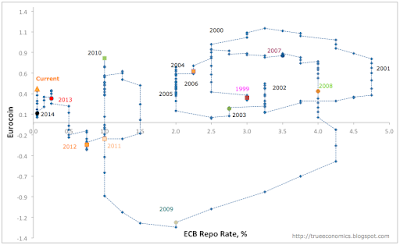 In other words, growth firming up is coming not from organic real activity on the ground, but from trade effects (weaker euro) and financial markets effects (monetary policy driving euro).